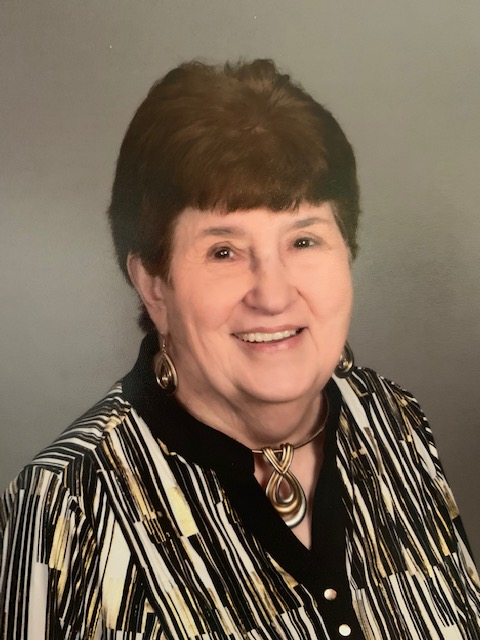 Mrs. Sue Hawks Robison, 82, went home to be with her Lord and Savior, Jesus Christ, on Saturday, April 13, 2019. Sue was a loving wife, mother, grandma, great grandma, and “Auntie Sue”. She was born on June 22, 1936 to Sam and Priscilla Hawks of Rockingham, NC. She worked at 13 different hospitals, including Medical Park Hospital in Winston-Salem, NC as a histology technician and was also a licensed beautician. Although she enjoyed reading, flowers, and cooking, she most enjoyed time spent with family and friends. She was an active member of Antioch Baptist Church in Mt. Airy, NC. In addition to her parents, Sue was preceded in death by four brothers, Harden, Dee, Earl, and Ed Hawks and one sister Rada Cooper. Those left to cherish her memory are her husband Marine Gy Sgt retired, Douglas “Rob” Robison of the home; daughter Angie Swaim (Terry) of Germanton, NC; stepson Steven Robison (Cammie) and stepdaughter Stephanie Taylor, both of Decatur, IL; grandchildren Mandy Crouse (Philip) of King, NC, Carla Montgomery (Kevin) of Pfafftown, NC, Tony Swaim of Troutville, VA, and Drake and Jessie Robison of Decatur, IL; great grandchildren Adalee, Bryce, Caris, and Everly Crouse and Lillian Ruth, Braxton, and Hazel Montgomery; and several nieces and nephews. The funeral service will be held at 12:00 PM, Tuesday, April 16, 2019 at Antioch Baptist Church, 137 Antioch Way, Mt. Airy, NC with the burial immediately following at Antioch Baptist Church Cemetery. The family will receive friends and loved ones from 10:00 AM – 11:30 AM prior to the service at the church. You may send flowers or memorials may be made to Mt. Valley Hospice, 401 Technology Lane, Suite 200, Mt. Airy, NC, 27030 or Antioch Baptist Church General Fund, 137 Antioch Way, Mt. Airy, NC, 27030.